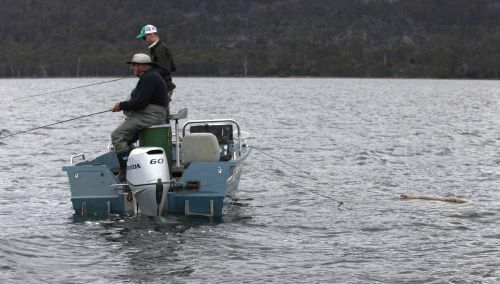 The southern calamari and squid fisheries will be closed to recreational and commercial fishing on Tasmania's north coast from 1 - 31 October 2018 inclusive. 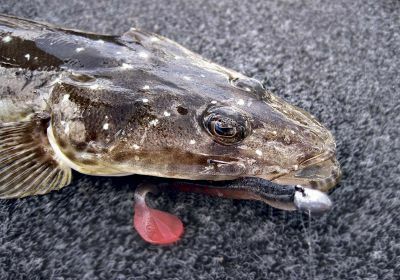 The closure of the entire North Coast is to protect spawning calamari. 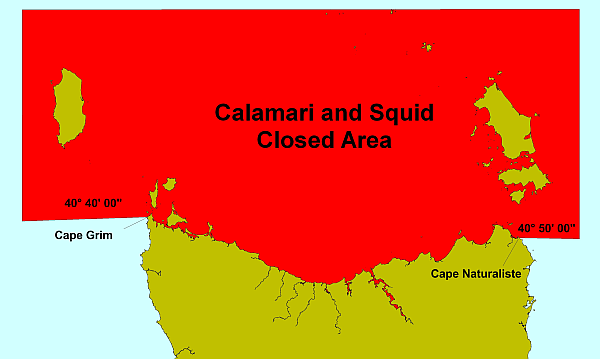 During the closure period, taking or possessing calamari and other squid species is prohibited in the closed area - see map below. Dates for the annual calamari closure in upper south east coast waters including Great Oyster Bay and Mercury Passage are unchanged, from 15 October to 14 November inclusive. 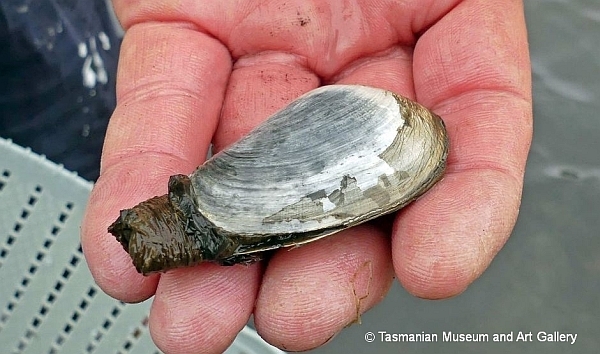 An introduced soft-shell clam was recently detected on a beach near Orford in south east Tasmania. 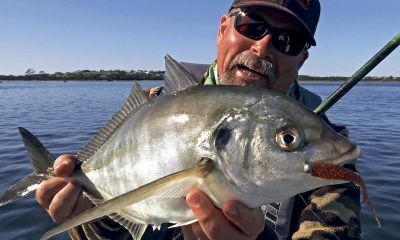 Biosecurity Tasmania is now managing the incursion of this species in accordance with national marine pest protocols. For more information see the Biosecurity Tasmania website. From today, Wednesday 11 July, taking and possessing soft shelled clams in state waters is prohibited. This is to help prevent the spread of the clam to other areas. 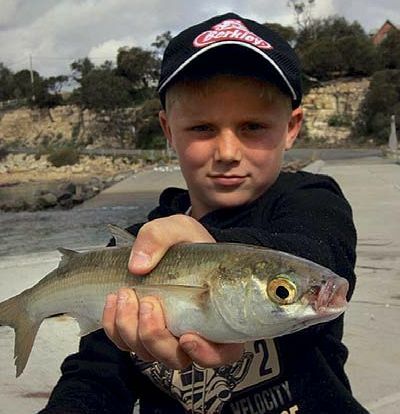 The boys had been pestering me for quite some time, ‘dad can we go out to Port Sorell and have a fish off the jetty soon’. 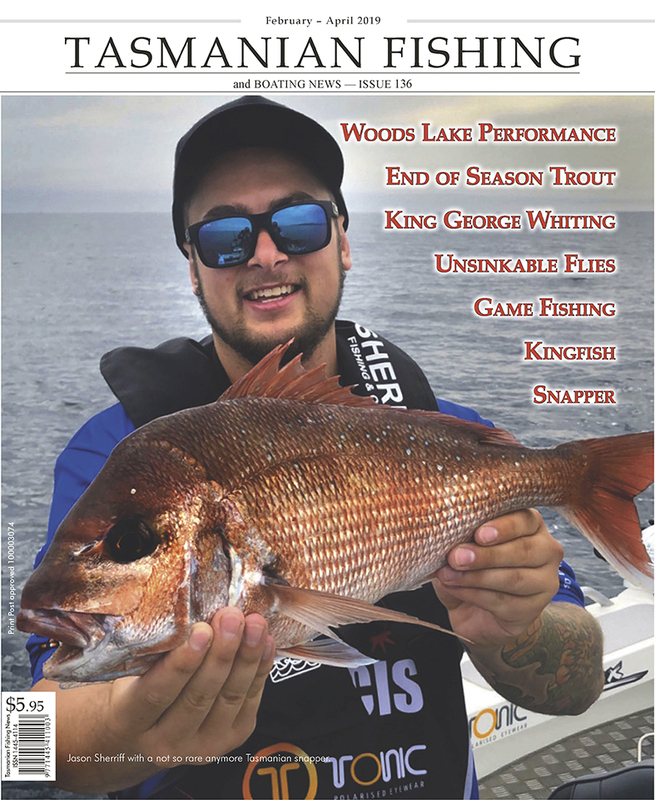 Admittedly I had been trying to put it off, I didn’t like to tell them but I was a bit out of my comfort zone with the whole jetty/saltwater fishing thing. I could happily take them anywhere in the state and confidently fish for a trout or two, but this was different. But and it was a big but, the time had come to give them what they wanted. 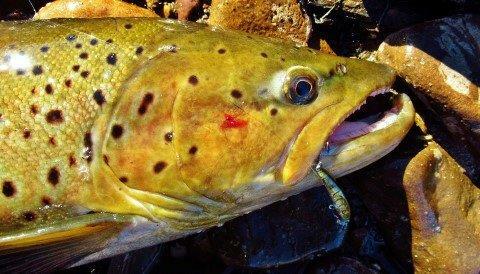 Please keep in mind as you read on that I am merely just a fly fisherman who loves his trout with virtually no conventional gear saltwater experience. But, I am a father who wants his two boys to grow up experiencing as many different fishing opportunities as possible. Then they can decide which fishing path they want to wander thru life exploring. 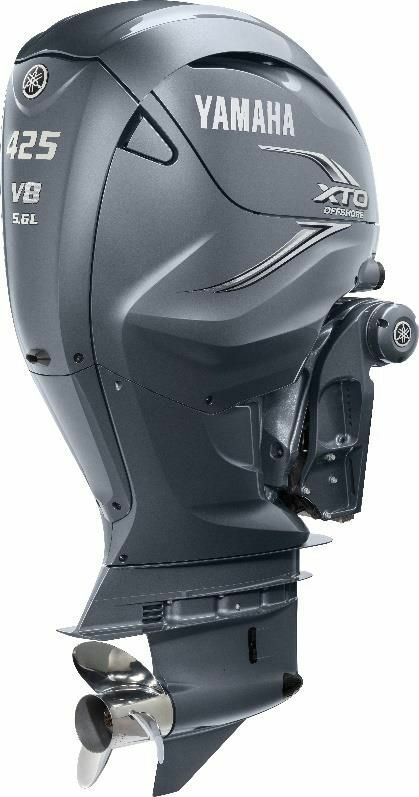 Once again Yamaha has set the benchmark in bringing innovative, big horsepower outboards to the market with the launch of the new V8 425 XTO (Extreme Offshore) outboard. This massive 425-horsepower V8 engine has been designed from the ground up to deliver extreme power and thrust, combined with a fully integrated power and control system to create a whole new level of boating experience. Seeing it's the last day of the 2017-18 trout season I headed back to the Leven River to finish off what's been a reasonably good trout season for me and maybe add a few more trout to my seasons tally. As I got closer to Gunns Plains I noticed there was a large layer of fog running along the whole length of the river so it won't be all that warm once I get there. With no wind it will still be nice in the river and hopefully there will be a few trout in the area I'm fishing today below & above Marshall's Bridge. It wasn't very long before I was there and headed of for a five to six hundred meter walk downstream where I would hop in the river and slowly fish my way back upstream. It was quite weird walking in the thick fog and the only sounds I heard was from several birds singing, magpies warbling and of course a few cows bellowing away every so often. Hit the Leven River again this morning and had a great start to the spin session. On my last trip here I had a follow and a few hits from one very nice large and solid brown. I was a little worried that day as I thought had he taken it and done the crocodile roll I would see the fine 4 lb mono giving way. It's not so much as the line breaking, it's the knot where it will break as that's the weakest point. Even it it didn't roll the size of that fish was enough to test out the knot any way. Today I went back to the same area where I had seen that large brown, this time I have a 6 lb leader set up to the little GagaGoon MI Perch hard body lure. It wasn't all that long when that large brown came out from a shallow flat water (a little further upstream from last time here) and had three goes at the lure and like the other day it missed taking the lure.. I watched the big bugger move off and went in behind a large rock in the river. I couldn't see him at all after that so I decided to cast the lure downstream past the rock then slowly retrieve the lure up past where I felt it was sitting.